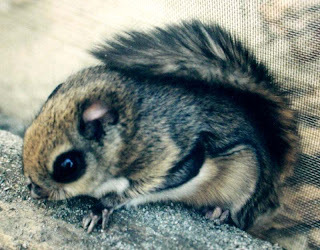 The Japanese dwarf flying squirrel (Pteromys momonga, Japanese: モモンガ: momonga) is a type of flying squirrel. Its body is 14–20cm long and the tail length is 10–14cm. It weighs 150–220g. 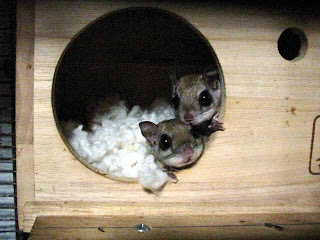 It is much smaller than the Japanese giant flying squirrel which can reach 1500g. Its back is covered with grey brown hair, and its belly is white. It has large eyes and a flattened tail. It inhabits sub-alpine forests in Japan. 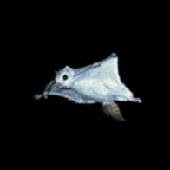 It is nocturnal, and during the day it rests in holes in trees. It eats seeds, fruit, tree leaves, buds and bark. It can leap from tree to tree using a gliding membrane. It faces threats from habitat destruction. 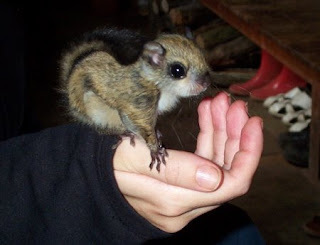 Do you know of any breeders for this specific flying squirrel? Where did the pics come from?